A graduate of the Central Institute of Physics in Bucharest. He is a senior scientist at the Institute of Atomic Physics and a professor at Bucharest University. I.N. Mihailescu was awarded for his studies of the nanoscale surface modifications by laser irradiation, including pulsed laser deposition of compounds in vacuum or in chemical reactive gases. R.S. Sirohi graduated from Agra University and from the Indian Institute of Technology in Delhi and is a professor at the Indian Institute of Technology in Madras. He has conducted extensive research work in the areas of optical metrology and optical testing and has introduced techniques for the measurement of displacement, angles and contours by optical means. D. Malacara graduated from the National University of Mexico and from the University of Rochester, N.Y., USA. A scientist with Centro de Investigaciones en Optica, Leon, Gto., he contributed to the foundation of several Optics Research centers in Mexico and of the Mexican Academy of Optics. A designer and constructer of optical instruments, including telescopes, he is famous for his book on "Optical Shop Testing", which has been translated in many languages. A graduate of Moscow University and a senior scientist of the Joint Nonlinear Optics Laboratory, Electrophysics Institute of Ural Branch of Russian Academy of Science, N.D. Kundikova is also the head of the Optis and Spectroscopy Department at the Chelyabinsk University. She has been recognized for her theorical achievements related to the interaction between light propagation and polarization, as well as their experimental demonstration. A graduate of Delhi University and from Cornell University, A.K. Ghatak is a research professor at the physics department of the Indian Institute of Technology. He has been recognized for his important research contributions in developing new methods for the analysis of fiber and integrated optic waveguides, quantum well structures, and the analysis of graded index optical imaging systems. 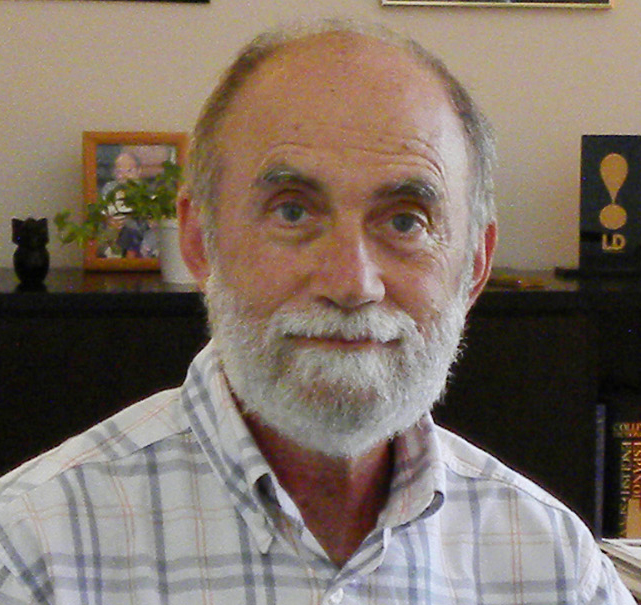 A graduate of Universidad Nacional de la Planta, Mario Garavaglia is the founder of CioP (Centro de Investigaciones de Opticas) and has been recognized for his scientific contributions in the fields of lasers, spectroscopy, interferometry, and holography, as well as their applications to industry, medicine and biology and for his promotion of optics education an research in South America. 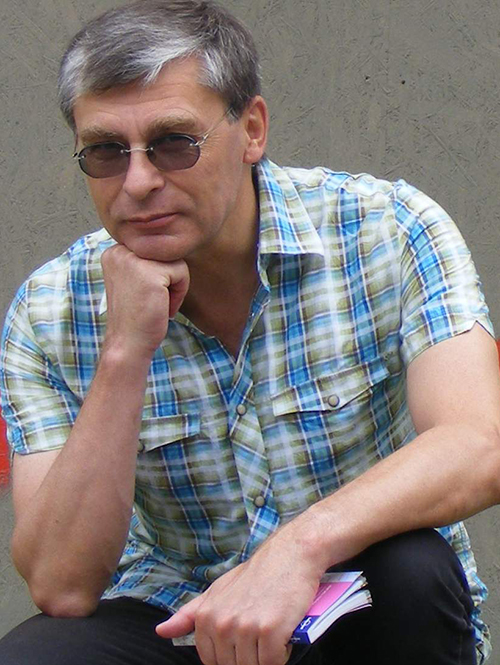 A graduate of Tomsk State University (TSU) and director of the Wave Propagation Division of IAO (Institute of Atmospheric Optics of the Russian Academy of Sciences), Vladimir P. Lukin has been recognized for his scientific contributions on light propagation through turbulent media and on adaptive optics, as well as their applications. 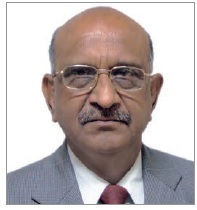 A graduate of Agra University and from the Indian Institute of Technology, K. Singh of the Indian Institute of Technology, Delhi, has been recognized for his scientific contributions in the areas of statistical and information optics and for his contributions in education in optics in India. A graduate in Engineering Physics from Tashkent Polytechnic Institute and Ph.D. degree in Physics and Mathematics from the Academy of Sciences of Uzbekistan. Rashid Ganeev has been recognized for his scientific contributions, both theoretical and experimental, for developing new methods for nonlinear frequency conversion of high power laser radiation in non linear crystals and characterization of nonlinear optical properties of metal, semiconductor and polymer media. A graduate of the Pontifícia Universidade Católica do Rio de Janeiro and Post-Doctorate in Harvard University, Cid B. de Araujo has been recognized from his scientific contributions in nonlinear optics, lasers and applications, multiphonic processes, parametric generation, spectroscopy of special glasses and organic materials as well as in photonics and integrated optoelectronic. Milivoj Belic is a professor of optics at the Institute of Physics, Belgrade. The research interests of Prof. Belic centered on nonlinear optics and nonlinear dynamics of optical systems. His work in nonlinear optics was concerned with the wave mixing in photorefractive media, optical computing, and spatial solitons. His most important contribution is the establishment and maintenance of strong research group in Belgrade, working under adverse conditions, yet producing outstanding research results. Caesar Saloma is a professor of physics at the National Institute of Physics of the University of the Philippines in Diliman, Quezon City, Philippines. He has introduced in the Phillipines investigations on the use of the laser fluorescence confocal microscopy in imaging optically-thick biological samples then conforming a pioneering team. He has investigated as well on the efficiency of laser confocal microscopy and multi-photon excitation microscopy for imaging applications in highly-scattering media. Doctor Eng. V. I. Vlad graduated at the Polytechnic Institute of Bucharest. He is Professor of physics at the University of Bucharest and chief of the Laboratory for Non-linear and Information Optics at the Institute of Atomic Physics, Bucharest, Romania He has done outstanding contributions to ultra-fast optical phase conjugation, wave mixing in photorefractive crystals (PRC) and pm-amplitude vibration measurements, and organized the series of conferences "ROMOPTO" in Romania. M. M. Shabat received his Ph.D. degree from the University of Salford, U.K. He is Professor of physics at the Islamic University of Gaza, Palestine. The citation of the award reads: "For his outstanding scientific contributions in the area of theoretical and electromagnetic optics, which were accomplished under comparative unfavorable circumstances as defined on the award call and for his relevant work for the organization of optics and photonics activities in Palestine". Prof. Angelsky is presently a Professor of the Correlation Optics Department of the Chernivtsi University. He is a PhD from the Institute of Physics, Kiev, Ukraine. The citation of his award reads: "For his outstanding contributions in the field of optical correlation, speckle interferometry and holography in diffuse optical fields achieved under comparatively unfavorable conditions". J. Widajaja is Professor at the Suranaree University of Technology, Thailand. He obtained his M. Eng. and Dr. Eng. in Electronics Engineering from the Hokkaido University; Sapporo, Japan. The citation reads: "For his outstanding contributions in wavelet transform based signal processing, speckle metrology, holography, join transform correlator, speckle and Internet photonic routing. The Committee was considering as well the comparative unfavorable circumstances since the candidate has done all activities in a developing country (as defined by UN)". Marat S. Soskin graduated from Kyiv Taras Shevchenko National University in 1952 and immediately after graduation was appointed head of the Spectral Industrial Laboratory in Donetsk (Ukraine). After four years there he began a PhD - and life-long career - at the Institute of Physics of the National Academy of Sciences of Ukraine (NAS), where he has led the Department of Optical Quantum Electronics since 1966. He was awarded half of the 2009 Galileo Galilei Award "for his achievements in the fields of tunable lasers, dynamic holography, and linear and nonlinear singular optics". Dumitru Mihalache graduated from the Faculty of Physics, Bucharest University, in 1971, and the Faculty of Mathematics, Bucharest University, in 1977. He is currently a Research Professor at Horia Hulubei National Institute of Physics and Nuclear Engineering, Bucharest, Romania. In recognition of his contributions made under comparatively unfavorable circumstances, the award committee granted Prof. Mihalache half of the 2009 Galileo Galilei Award "for his achievements in the field of theoretical nonlinear optics". Mohammad Taghi Tavassoly was born in Hamadan, Iran, in 1942. He received his BSc and MSc in physics in 1966 and 1968 from the University of Tehran. He received his PhD from London University (RHC) in 1977. Back home he joined the University of Teheran and founded the optics committee that developed later into the Optics and Photonics Society of Iran. After the war, in 1988, he helped establish research laboratories in optics at his university and at the Institute for Advanced Studies in Basic Sciences (IASBS) in Zanjan. Tavassoly was awarded his prize for "his contribution to teaching optics in Iran, conducting original research, and maintaining links between the academic communities active in optics in Iran and the rest of the world". Jan Peřina was born in Mestec Králové, Czech Republic. He received his Doctor of Natural Sciences and PhD degrees from Palacký University in 1966 and 1967, respectively and his degree of Doctor of Sciences from Charles University in Prague in 1984. He is professor of quantum electronics and optics at the Department of Optics, Palacký University, Olomouc, Czech Republic. He was awarded "for his impressive results on quantum optics and coherence regarding non-classical states achieved under difficult circumstances." Mikhail Vladimirovich Fedorov was born in Moscow in 1940. He graduated from the Physics Faculty of Moscow State University in 1964 and joined the P N Lebedev Physical Institute, USSR Academy of Sciences. Since 1983, Fedorov has been with the General Physics Institute, Russian Academy of Sciences, where he now heads the Theoretical Laboratory in the Division of High-Power Lasers. He was awarded "for development of interference stabilization of atoms and a theory of quantum entanglement features arising from particle symmetry". The award committee recognized his successful achievement of science and the maintenance of scientific credibility during the more than decade-long social and economic turbulence that distorted all Russian institutions of education and science. Kazimierz Rzążewski was born in Warsaw, Poland, and obtained his Master and PhD degrees in Physics from the Warsaw University, in 1966 and 1972 respectively, and his Habilitation in 1979. Since 1988 he is Professor at the Center for Theoretical Physics of the Polish Academy of Sciences, and during 1998-2002 he was appointed as its director. He was awarded "for scientific contributions to the area of theoretical quantum optics, ultracold atomic gases and theory of intense laser-matter interactions as well as to the creation of Polish quantum optics school under difficult political circumstances." Chandra Shakher received his MSc degree from Meerut University in 1970, his Master of Technology in applied optics from the IIT Delhi in 1976, and his PhD in physics from the Indian Institute of Technology Madras in 1980. He is a leading researcher bridging academic research and industrial applications at IIT Delhi, India. He was awarded “for outstanding contributions to the field of holographic and speckle metrology, which were achieved under comparatively unfavorable circumstances”. 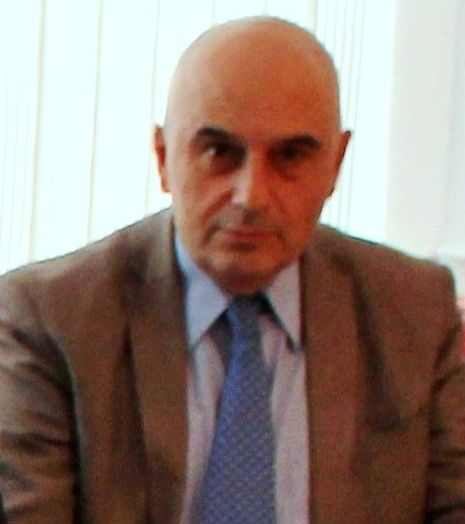 Aram Papoyan, Director of the Institute for Physical Research of the National Academy of Sciences of Armenia since 2006. The award citation reads “For his important achievements in high resolution spectroscopy of Alkali atoms and for his valuable contributions to the promotion of experimental atomic physics in Armenia”. Prof. Nosich was awarded the Galileo Galilei Award 2017 “for his contribution from fundamental mathematical physics studies to the modeling of actual devices for photonics and optoelectronics under comparatively difficult circumstances”.